A POPULAR ‘distracted boyfriend’ photo gone viral was shot in Spain, it has been revealed. 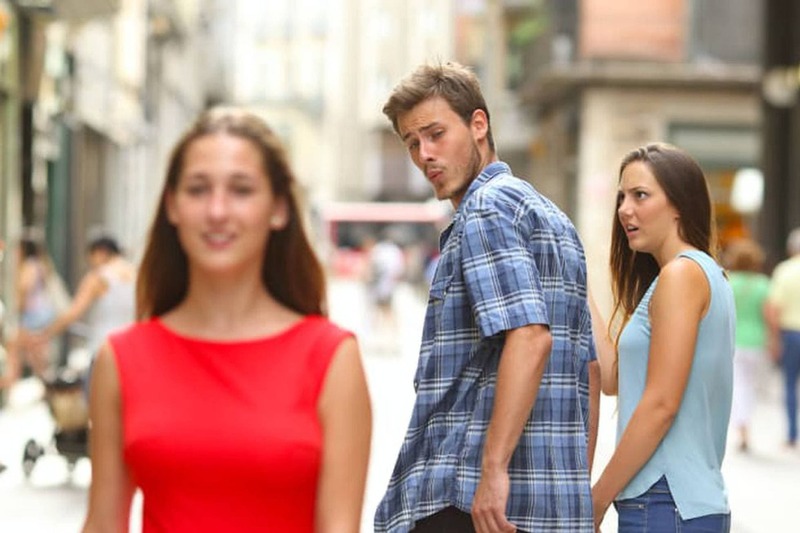 In the widely shared pic, a young woman walks down the street as a couple pass by in the opposite direction. The boyfriend then turns round to look at the young woman’s behind and his girlfriend catches him. Internet users have now gone wild with the picture, taken in Girona in 2015 by snapper Antonio Guillem, making hundreds of different so-called ‘memes’. 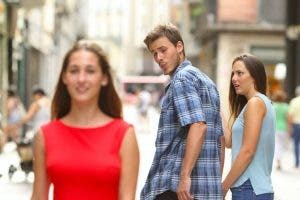 In most, the boyfriend represents us, the woman walking by represents our mistakes, and the girlfriend represents the good decisions we don’t make. It’s also become a metaphor for our desire for something new. Guillem said he has received so many interview requests from media that he’s been overwhelmed. The picture is uncannily similar to a photo of President Obama checking out the backside of a woman at a G8 conference, next to French Prime Minister Nicholas Sarkozy.